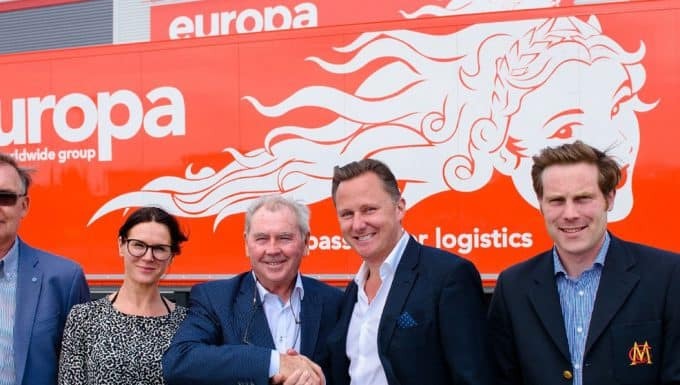 More than 100 new customer accounts have been won by the Manchester branch of Europa Road in the last 12 months – a key indicator that the business is well on track to hit its ambitious target of becoming the leading logistics operator between the UK and Europe by 2018. 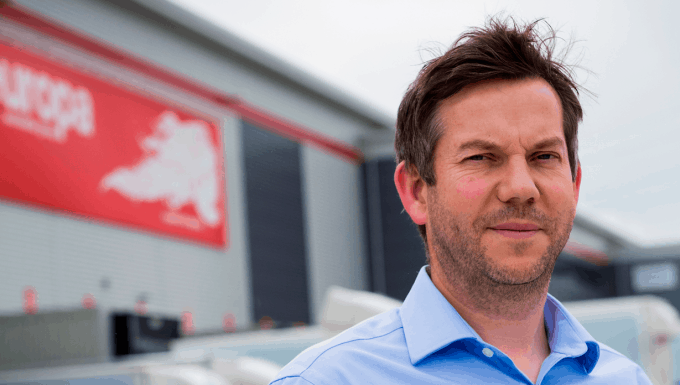 Celebrating its best year of growth on record the 15-strong team at Europa’s Manchester branch, located at Media Village, has not only attracted over 100 new customers in the last year, it has also seen its consignment numbers and gross profit increase by 30 per cent. Branch Manager Paul Martin is this month marking his first full year with the business and said that he couldn’t be more proud of his team’s achievements during the last year. He said: “I’m delighted with the progress my team has made this year, particularly in the volume of new business they’ve successfully secured in such a short space of time. It’s very rewarding to see all of the Northern Europa branches pulling together and achieving excellent results collectively too – with our consignment figure and profit up 30 per cent as a region. 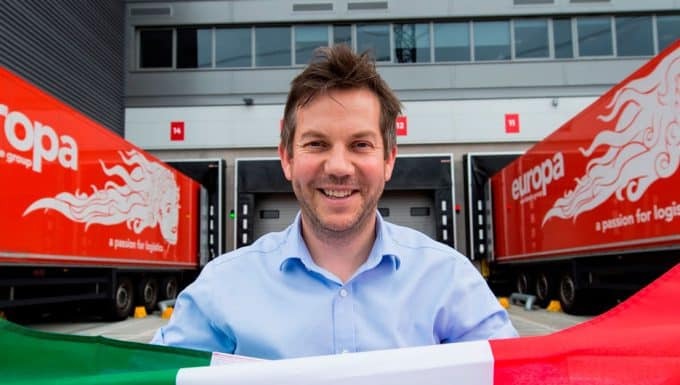 “A lot of our new business in Manchester has come from the manufacturing sector but we’re seeing growth across the board because our pricing is competitive, we have an established and excellent European network which offers daily departures and our in-house IT system Leonardo has streamlined the booking and monitoring of shipments. Due to the boom in new business, Paul is on the lookout for new competent and passionate Account Managers to join his team. Europa Worldwide Group, which is this year celebrating its 50th anniversary, is owned by Andrew Baxter who acquired the business in 2013. As part of his plans for investment in the North, Manchester is a key business area for growth. Branch Network and Sales Director at Europa Worldwide Group Dionne Redpath added: “I can’t believe that Paul has been with us only a year and I’m delighted with the significant progress he and his team have made. Of course, we can’t stand still, so it’s time to think about the future and how to further strengthen our position within this vitally important area of the UK. Europa’s turnover pushed through the £100 million mark at the end of 2016 and the business’ goal is to reach £200 million by the end of 2018. It currently operates 35 road routes across Europe, 20 of which run daily. As well as its specialist European road freight solutions, Europa also provides dedicated air and sea, warehouse and showfreight services.